St. Louis Cardinals manager Mike Matheny’s first year at the helm has definitely been a test for him. A test—that’s how his general manager John Mozeliak characterized the Cardinals' tumultuous season. While the season isn't over yet - and if Matheny has his way it won't be for two more months - there is now a big enough sample size to look back and make at least a partial judgment. At Sunday’s blogger event at Busch Stadium, Mozeliak spoke candidly about his take on the new manager in which he invested his club's future. Given the vast number of injuries throughout the season, he says he’s quite impressed with how Matheny has handled all that has been thrown at him. 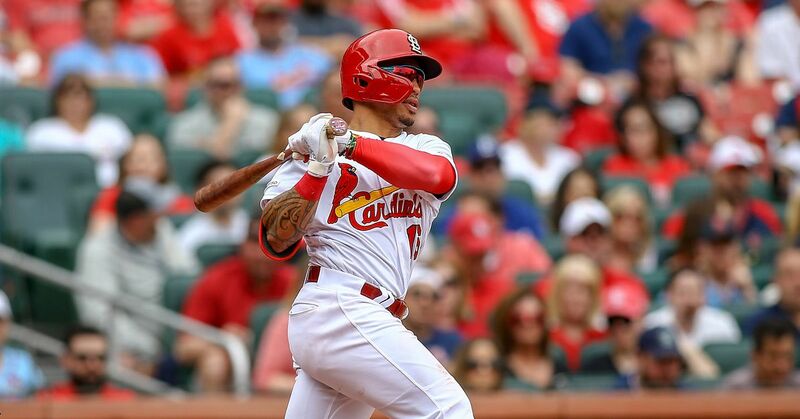 Matheny, who worked as a special assistant to Mozeliak prior to taking on his new role, is viewed by Mozeliak as the ideal solution to fill an extremely tough spot. After several interviews, Mozeliak said the answer became more and more clear to him. The fact that he feels good so far, doesn’t necessarily mean Matheny is anywhere near the point of peaking. What Mozeliak thinks it means is that his new manager has the right tools to learn the job well and make it his own. It was also made quite clear that Matheny is not viewed as a short term fix – period. When Mozeliak and President Bill Dewitt III, who also spoke at the function, were hunting for a replacement for LaRussa, they weren’t looking for a band-aid, they were looking for a cure. The pair knew when they hired a rookie manager with zero management experience that there would be growing pains. Some of the adversity Matheny has faced this season would have been difficult for even the most seasoned manager. Through it all he has kept his cool as he continues to adapt to his new role. Given the now season - possibly career - loss of Lance Berkman and a late season injury to Jake Westbrook, Matheny will continue to prove himself while under fire. Mozeliak said he is still confident that Matheny is, and will continue to be, the right man for the job. “So, my overall takeaway on him is that he has been very impressive,” Mozeliak concluded.